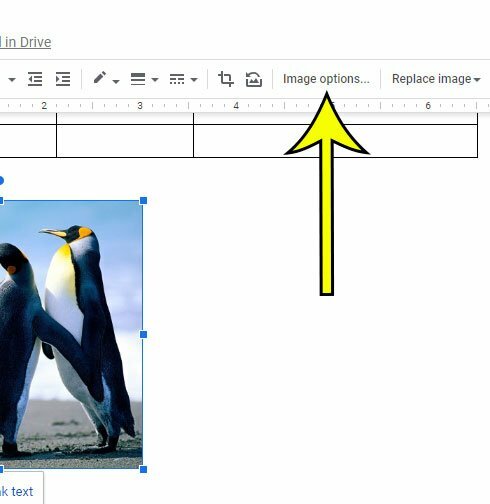 Adding a picture to a Google Docs file is as simple as clicking a button in the toolbar and finding the picture you want to insert. But that picture is going to be in your document in its original orientation, at its original size and transparency. If you’ve already edited the picture in another program like Photoshop then that is probably not an issue, but if you haven’t done so you may need to make some edits to the picture so that it looks how you want it to look. 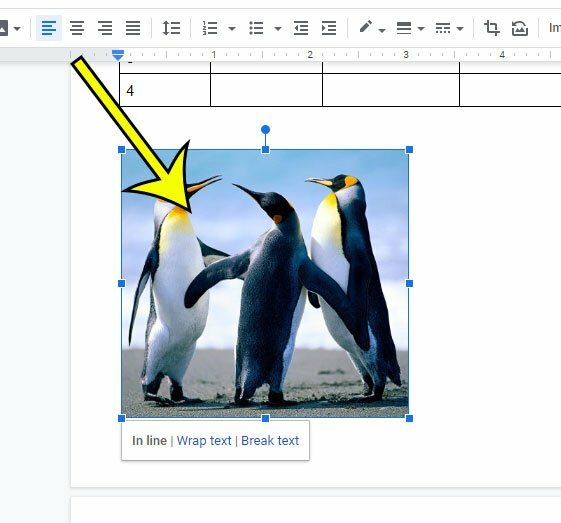 Our guide below will show you how to adjust the transparency of a picture in Google Docs. The steps in this article were performed in the desktop version of the Google Chrome Web browser. Once you have completed these steps you will have a version of your image in the document with an increased level of transparency. Step 1: Sign into your Google Drive at https://drive.google.com and open the document with the picture to modify. Step 2: Click the picture in the document to select it. Step 3: Select the Image options button in the toolbar above the document. Step 4: Click the slider under Transparency and drag it to the right. When you’re done, click the X at the top of the Image Options column to close it. Have you made too many changes to the picture and are having trouble getting it back to normal? 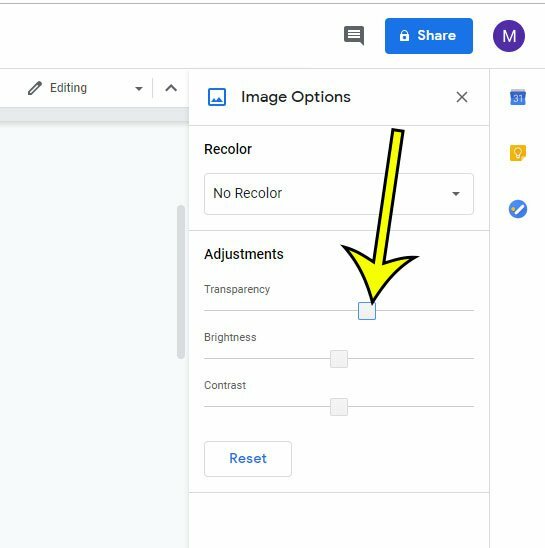 Find out how to reset your image in Google Docs to undo the edits that you have made.